In online payroll software employees have a dedicated employee portal from where they can apply for leaves, apply for TDS concessions. Under this section employee able to apply for leave & check for leave approval status in his dashboard. Employee able to view list of holidays. He can have summary of leave of any financial year. 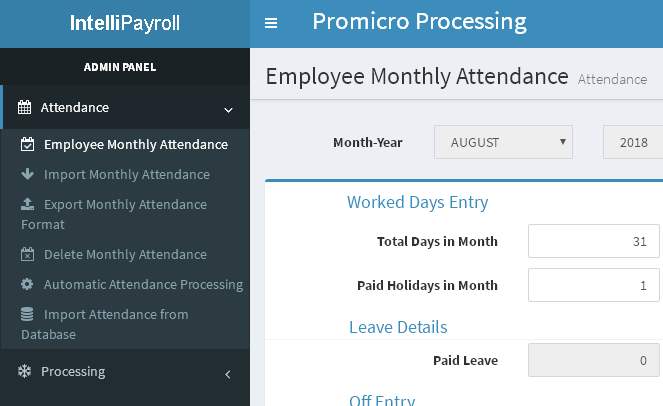 In online payroll software leave accounts can be tracked monthly or annually. Employee can check his attendance report for any financial year. 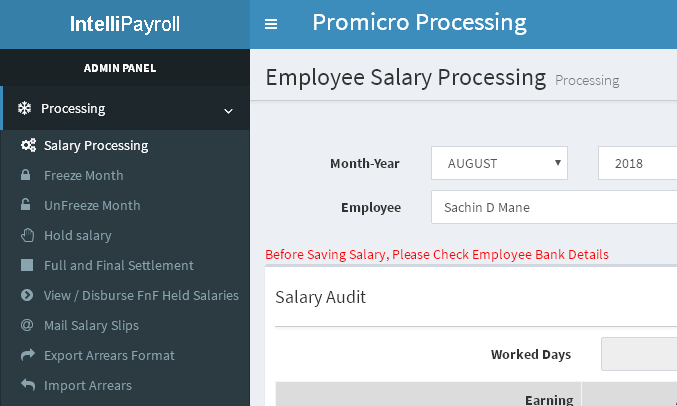 In web payroll software one can download payslip and annual wages. The payslips can be downloaded in PDF format. Reimbursement can be applied online using online payroll software which again goes to admin for approval. 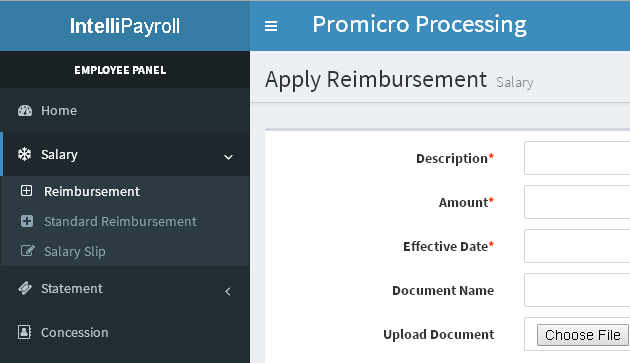 In reimbursement module employee can attach receipts as a proof. Employee can Download Form 16 and Form 12-B also he cancheck his PF Statement,ESIC Statement etc for any financial year. 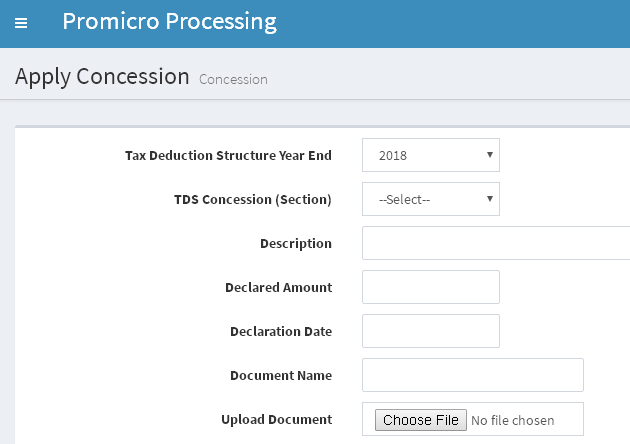 Employee can Declare Concession and Submit Proof for TDS Concession. To avoid constant request from employees for TDS projection report an employee can log in to his online portal in the web payroll software of Intelli Payroll software and generate a TDS projection report and it can be downloaded in PDF or can be mailed. 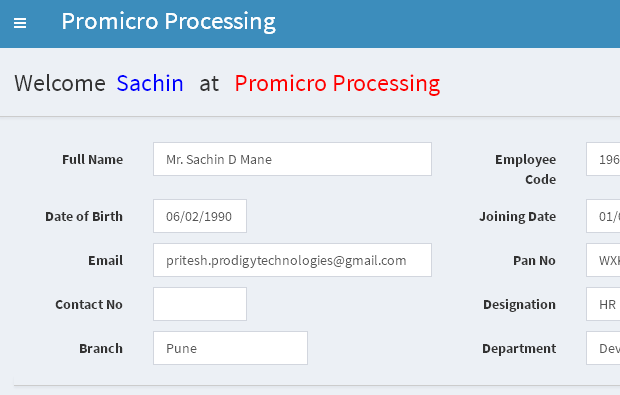 By logging into admin portal admin able to view the list of requests send by the employees. Request that includes leave application, reimbursement application, concession application, etc. Admin also gets notification list such as employment confirmation due and employee's relieving date, employee birthday, list of holidays coming in the respective month. It also displays the total number of employees in each branch. Extensive master data of employees can be saved in web payroll software. All information about employees can also be downloaded in Excel format. Employee master information can be bulk updated using Excel files. Latest information like PF UAN and adhar card number can also be updated. 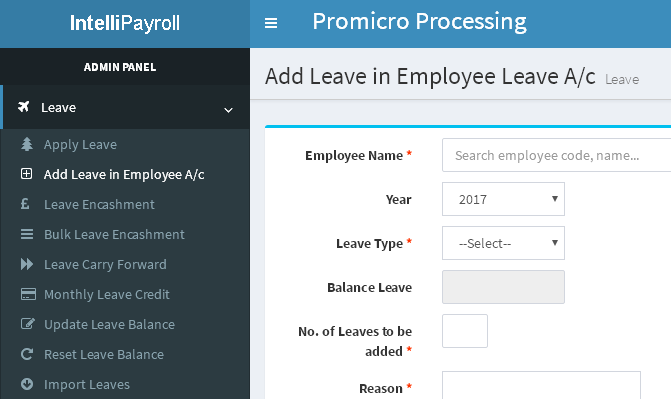 Multiple leave accounts can be created in epayroll software. These leave accounts can be encashable so that admin can encash leave balances. Leaves can also be forwarded monthly or annually depending on the ratio decided by admin. 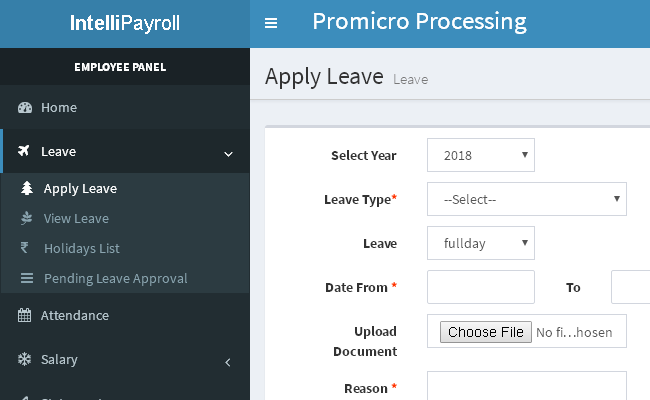 Leave can be applied by employee in payroll software employee portal which goes to line and HR manager for approval. Leave balances can be reset and updated using Excel file. 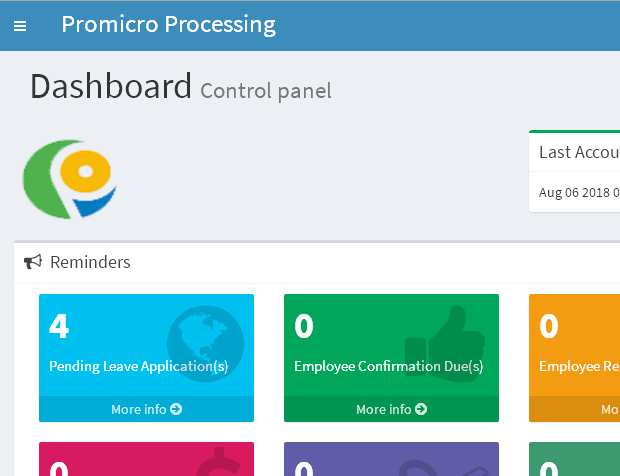 Monthly leave balance report, annual leave tracking report can be generated from the web epayroll software. 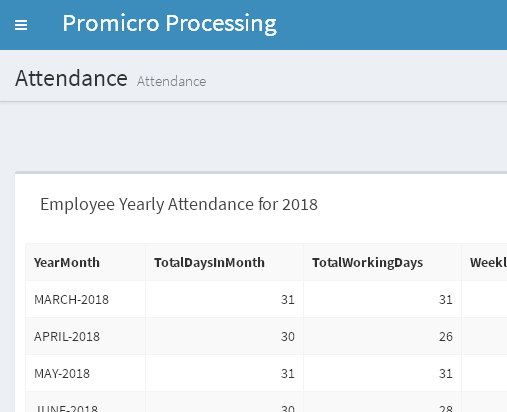 Attendance data can be imported from Excel file. Intelli Payroll Software can be integrated to biometric attendance system where data can be imported directly to epayroll software. Monthly attendance can be deleted by admin. Automatic attendance can be processed when unpaid days are mentioned in the system this way one need not use a biometric device. 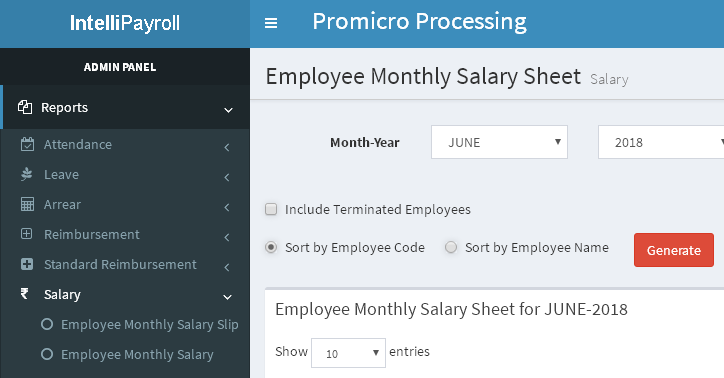 Employee monthly payroll processing can be done using epayroll software by Prodigy Technologies. A trial audit before saving the salary can be generated and saved once audited. Monthly can be put on hold so that all compliance are done but salary report will not contain the employees name. All the statutory forms for payroll are provided in online payroll software Forms such as PF ECR, Online ESIC statement, PT report and challan, LWF form, TDS ITNS 281 challan and 24Q can be generated at a single click in epayroll software. .
More than 100 reports related to attendance, leaves, salary and other are provided in epayroll software. All the reports are either monthly or annually. Current paymaster or CTC of all employees can also be generated by the payroll software. 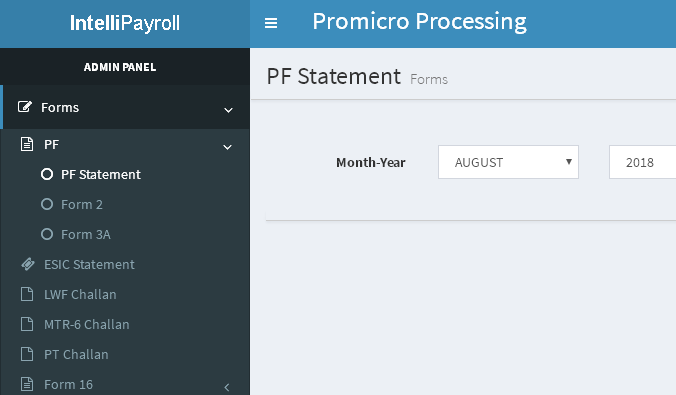 All returns files can be generated by epayroll software. PF ECR, ESIC online statement, TDS 24Q and ITNS 281 challan can be easily downloaded. 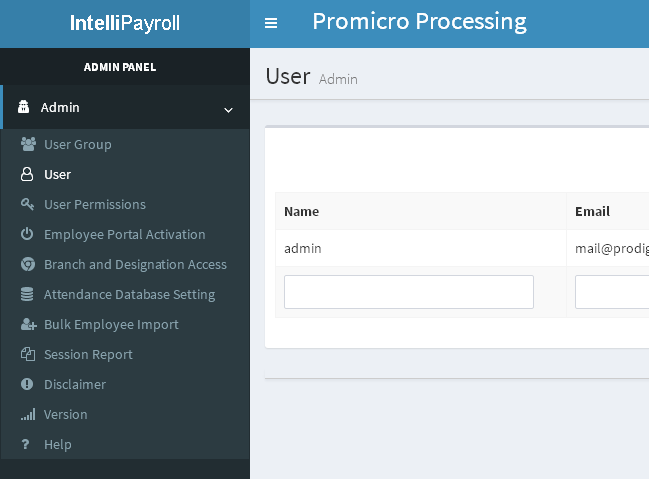 Track all actions of your employee User permission can be defined in the payroll software where access to a group of users can be decided. 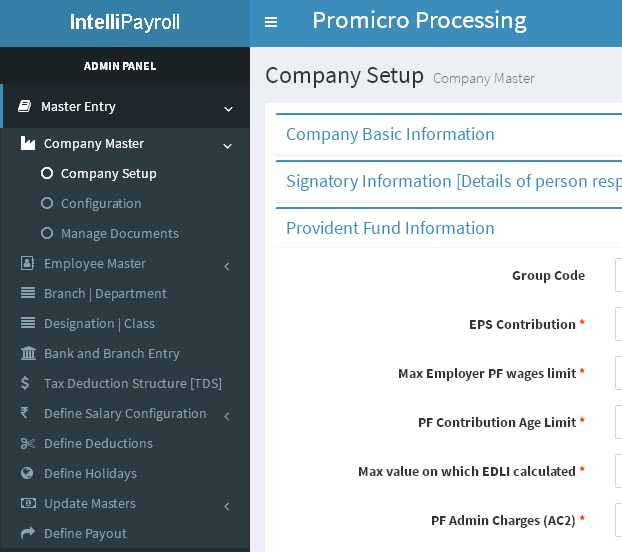 Even branch wise access can be given in the online payroll software. A session report to see when and who all logged in can be generated.